Let’s go back to some key elements in the history of Accenture, one of the leading IT consulting firms in the world. What Is The Relationship Between Accenture And Arthur Andersen ? It is a long story. 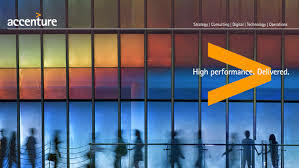 Originally, Accenture was the technological division of the Arthur Andersen Consulting firm. It was in 1953 that the General Electric Company asked Arthur Andersen to work on a project about process optimization and automation, giving rise to the creation of the explicit famous Technology Division of AA. It was from 1989 that the technological branch named Andersen Consulting separated from the parent company. Moreover, in 1998 the relationship between the two entities degenerated because of dissensions related to the sharing of profits. Following a trial, the Andersen Consulting company changed its name to become Accenture, in 2001. It must be remembered that Arthur Andersen was one of the biggest names in consulting before his sudden disappearance. Although its headquarters is in Ireland, it is in New York and Chicago that the center of gravity of Accenture is located. For those who would be interested in making strategy at Accenture, it should be noted that the level of interaction with clients is below that of the top-tier firms McKinsey, BCG, and Bain. Indeed, in the three last firms, the level of interaction is located at the top of the decision scale, with decisions affecting all of the clients; at Accenture consultants will be limited to smaller operational perimeters. The typical project at Accenture focuses on optimizing the performance, the reduction of costs, and the operational management rather than growth in a new market and development strategies of new products. The scope of work of a young consultant at Accenture depends entirely on the nature of the project on which he worked. For example, if you are working on a supply chain assignment, you will have very little experience in strategy. On the other hand, you can build real field experience at Accenture, as the consultants of this firm have real experience of their customers’ functionning modes. In terms of sectors, Accenture is present in more than forty industries. Given the nature of these very operational projects, Accenture has a human resources policy extremely aggressive toward the candidates experienced in an industry that it targets. So an excellent process to approach this cabinet is to contact a consultant who has worked at Accenture in an industry in which you are working now, and in which you already have solid experience. In terms of a geographical footprint, Accenture has a presence in more than 120 countries in the world. If the center of gravity of this firm is located in the United States and Europe, it is in India that Accenture has the largest number of employees with more than 70,000 people working in 7 Indian cities.